Currently, I am unfortunately not accepting new clients for hypnotherapy in Exeter. I am writing useful books like the one to the right instead – because I believe that helping more people to learn to help themselves through self-awareness is more worthwhile. You are welcome to contact me via the contact form if you wish to ask something about Exeter hypnotherapy. Please note however, I am not always able to provide advice or suggestions about individual situations. I am a registered, accredited, certified Hypnotherapist in Exeter based near the Quay. If you are not looking for hypnosis or hypnotherapy in Exeter, then be sure to read my warm advice for choosing a quality hypnotherapist closer to home. Having studied Psychology, Neuroscience, NLP, and worked as an Exeter Stop Smoking Specialist for the NHS, my approach is down-to-earth, practical and client-centred. I have also trained with the excellent Hypnotherapist Gil Boyne in California, and Ernest Rossi in London. I would describe my work as subconscious psychology. Miracles! Whilst hypnotherapy can be very powerful and rapid, it has nothing to do with the old-fashioned ideas of hypnosis that people have absorbed from movies. Anyone expecting to be put into a mystical sleep, and given suggestions for their problem to disappear within minutes should know its a lot more involved than that. 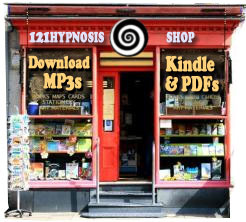 It is amazing how many enquiries I receive where a person looking for hypnotherapy in Exeter rants and raves about their whole life and ends it with ‘can you fix it with hypnosis?’ and expects it all to be cured in a couple of sessions. Goals. Whilst I can suggest some good ideas, I can’t tell you what you want. Its important that you have a clear idea of what you want to achieve – open ended or vague notions for self-improvement can lead to therapeutic dependency which I don’t encourage! Guarantees. I can’t guarantee your results anymore than an author can guarantee their book will ‘change your life’. I provide my knowledge, expertise and direction, but you are also very much an active participant. The amount of work that is needed varies between people and situations, and some require more hypnotic training than others. These examples are by no means exhaustive! Weight Loss Hypnosis Exeter – which can involve subconscious training for greater self-control, motivational and confidence boosts, uncovering and changing roots of a negative self-image or expectancies. Stop Smoking Hypnosis Exeter – re-education about how nicotine addiction really works, providing subconscious learning and techniques for greater self-control, subconscious programming for new automatic assocations. 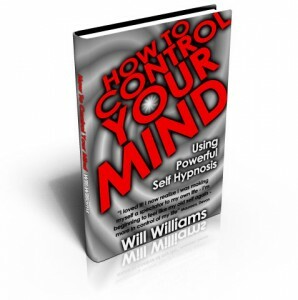 Hypnosis for Confidence – uncovering negative programming whether from childhood, adult life, bad relationships etc. Directing emotional release and fears to liberate positive self-belief. Hypnosis for Anxiety – uncovering causes, training self-awareness and self-control, training in self-hypnosis, subconscious programming. I don’t work with everyone! I can’t accept every challenge that is presented, for example where pathology may be indicated. I also don’t work with people I don’t think would be open and responsive, such as when spouses are dragged along for stop smoking hypnosis! I do not accept chronic depression cases. Often what feels like depression is actually mis-defined anxiety, fear or a subconscious belief that ‘I don’t deserve to be happy’, and this is something I may be able to work with. I’m willing to discuss your situation if you need clarification on this. I don’t work with ‘existential bleakness’ where the goal is ‘to find a goal’. This is a more a problem of human philosophy than psychology, and part of everyone’s individual journey. I sometimes reject cases or offer advice contrary to seeking hypnosis or hypnotherapy where I believe it isn’t suitable. Examples are wanting to ‘tolerate sexual jealousy’ because a partner is constantly having affairs (clearly something else is needed to restore ‘balance’ to the relationship) or wanting to control anger because of noisy neighbours (again, something where the solution isn’t really about psychological growth). Whether you are looking to resolve inner conflicts, gain self-control or simply learn about your own mind, I realise that your own situation is totally unique. That is why I don’t promise just a quick-fix or a psychological band-aid. I use an excellent range of resources including hypnosis, analytical therapy, conflict resolution, subconscious exploration, NLP, EMDR, neuro-associative conditioning, time-lines, suggestion therapy and abstract imagery. I want your personal journey of change and self-awareness to continue long after you leave my relaxing practice room. And who knows how you will surprise yourself. I bought your book, read lots of it, and have a question, but there is no email form or “submit button”, only this: [wb_contact-form]. ‘Wondering if there is a website glitch or if you are you no longer accepting e-mails.